Creating a evergreen sales funnel for your website/blog can be one of the biggest and most important things you can do to make money in your business. I want you for one second to think about all the competition you have in your niche. How many are offering the same products or services as you? Do you think personal branding or strategies that everyone is doing will help differentiate you. It won’t! The only thing that will differentiate you from your competitors is to provide a 100% personalized experience. What your readers want is for you to give them what they are interested in. That is where a sales funnel comes into play. The funnel will allow you to to send your visitors the information they need and will also direct them towards the products and services you are selling. What is an evergreen sales funnel? The term sales funnel is used in marketing to describe the process which a customer goes through when purchasing a product. A evergreen sales funnel is used to try and turn a reader into a buyer. Of all the visits you receive, only a few will become subscribers (have you created a Lead Magnet and a Squeeze Page so that you can collect email?). Of your subscribers only some will interact with your content regularly (you need email autoresponder ). And of those that interact with your content, there will be a sonmw that will buy your products or services (only if you have a good product or service). In the picture above you see your traffic coming into your funnel from different channel. A few of your visitors will then become subscribers. This is the start of your funnel. From the readers who become subscribers only a few will become buyers. 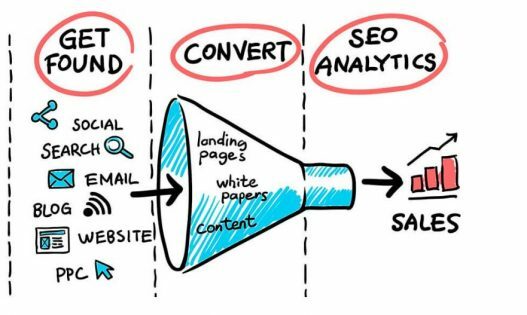 Why create a conversion funnel? Although I use the word create, the reality is that what you are going to do is optimize the one you already have. Trust me when I tell you that you have a funnel, even if you don’t think you do. From the moment you sell products and services you already have a sales funnel . It probably is not optimized to convert but it is there. You are a programmer and created an ebook on how to optimize your wordpress site with plugins . A blogger who has just launched his site is looking for information on the best wordpress plugins. After searching on google for a while they find your website and see that you have a Lead Magnet about what he is searching for. They opt-in to receive your lead magnet, reads you eBook and also reads the content on your site and loves it. They bookmark your blog so they can come back and read some more of your content. After a month the discover that you are offering a info product. Since they love your free content and it has helped them in their first month they decide to buy your product. Is this a sales funnel or not? Yes it is. The client has gone through different stages before buying your product. Why you should optimize your sales funnel? Our goal is to get the maximum number of people to buy from us.To accomplish this you will need to use a segmentation strategy to filter out your visitors based on their needs. In order to accomplish this you will need to create specialized content for what they are looking for. Ex: if they are interested in On-Page SEO you will create content and a lead magnet around the topic. If they are looking for link building strategies you will create content and a lead magnet around that topic. All of this can be automated with autoresponders like convertkit. Your funnel should be a personalized experience so your content should be tailored to what their interest are. We should be providing value and solving their problem. All of this should be automated. Since the moment you started selling a product you have had a funnel. However, this does not imply that you have well designed funnel for your business. I will be detailing the steps you should be taking to make sure you are getting the most out of your funnels. Modern marketing is based on the idea of ​​segmentation. Our products and services will only sell if we are clear about who we are going after and we know their concerns in detail. If you want to make lots of sales, the offer you create has to be irresistible. Has to be able to solve the pain point of your client? In order to Create a great product or service you must study your niche, make an analysis of your competition and investigate prices and strategies. If what you are going to sell is not good, it does not matter if you have the best funnel in the world, it will not sell. One of the most important steps within the funnel is to convert visitors into subscribers and one of the most effective ways to achieve this is through a lead magnet. Think about your lead magnet before you start working on your funnel. If nobody sees your blog, no one will enter your funnel. It’s that simple. If you just launched your blog, focus first on reaching your minimum viable audience . Afterwards, you will have to propose a strategy so that you continue to get new visitors in a stable manner. You will have to work on your SEO , your social media marketing ( LinkedIn , Twitter , Facebook …) and your guest posting strategy. The sales funnel’s main focus is to turn a visitor into a buyer by personalizing their experience so that we can show them that our products and services are what they need. To achieve this we have to segment our list of subscribers by their interest. You will only send content that interests deal with their specific interests. Before we dive deeper into funnels, I want to explain a concept that is sometimes confused with the funnel “The Buyers Journey”. What is a buyer’s journey ? Many bloggers are blinded by their egos, they believe the world revolves around them and their product. Being egotistical is the worse mistake you can do as a blogger. Your blog and marketing strategy should revolve around your potential clients. I am telling you all this because in the process of creating your funnel you can not forget about your client. You always have to be able to put yourself in their shoes and see through their eyes what their experience with you is like. By understanding how your potential client thinks you can predict how they will react in certain situations, and it will also allow you to offer them exactly what they want. That’s why the sales funnel should be seen from the customer’s view. The buyer’s journey is the evolution of the buyer’s mentality from the moment he discovers he has a need to when he becomes a buyer. Discovery ( awareness ): this phase could be summarized with the question ” How could I increase my sales?” The client is looking for options but has not yet found an answer. they are searching the Internet looking for solutions. Consideration: the question now would be “is this what I need?” . The person has found a product or service that he believes can solve his problem. Decision: the question becomes more and more concrete and is “do I buy what this person is offering me?” . The moment of truth has arrived and the client needs the definitive information that makes him buy. If you understand which phase each client is in, it will be easier for you to offer what they need to keep moving towards the purchase. The whole process is based on resolving possible doubts and insecurities. The top of the funnel is for buyers still in the discovery Phase this stage has the most people in it. In this stage of the funnel you have to connect with as many visitors that enter your blog as you can . Maybe they found you by a Google search, by asocial media site or because someone recommended you. No matter what channel they have came from, the important thing is that they are on your blog. What is the challenge of this phase? Once you have the visitor on your website. Your goal is to figure out what that person’s problem is that they are looking to solve, and to get them to subscribe to your blog. I am always telling you that your list of subscribers is your No. 1 asset in your business. Getting traffic is very important, but if those visits do not transform into subscribers there will be no sales. To get sales you need to establish a conversation with that reader, further analyze their needs and earn their trust. Without this it is impossible for you to personalize their experience and convert them into buyers. How do we convert visitors into subscribers? Create a “start here” page and direct the person to other resources you offer. Implement Content Upgrades in your content. Use plugins specialized in conversion like Thrive Leads . Redirect from your social media posts to a Squeeze Page where you offer a gift. Create contests and challenges on social networks. As you see there are many strategies. Check out which ones work best for your community, Your main focus is to get them to subscribe to your offer and get them into your funnel. We have descended a little more in the funnel and we reached the second phase. Now comes a very important part that many overlook: What to do with your subscribers? We all know that it is very important to capture leads, but very few bloggers know what to do with them. The reality is that many bloggers only send newsletters with reminders that they have published a new post by doing this you are losing out on many opportunities and money. What many bloggers should be doing is combining the sales funnel with the autoresponder like convertkit. You only have to create a email sequence once and then it will work automatically. In this phase, email marketing will help us with lead scoring and lead nurturing. Cold leads: they are in the first phase and far from the purchase. You have to make them advance through the funnel. Hot leads: they already know what they need, they only need a little push. When it comes to Hot leads there is no black and white. You can have warm leads or very hot leads. Warm Lead: could be a person who has subscribed to your list a month ago, opens all your emails, click on contents of different topics. This person is interested, but is still gathering information. You do not know yet what their main need is. Very hot lead: you receive an email from a person who wants to hire you for the service you offer. This possible client already wrote to you with a clear purchase intention. If your explanation of how you approach work and your price convinces them, they will end up buying. What lead scoring does is measure the temperature of the lead. Depending on whether they are “cold” or “hot”, you will email them different sequences. There are some software such as Hubspot and Ontraport which help you in measuring a leads temperature, but you can also do it yourself, the key lies in the interaction that the subscriber performs with your content.There will be visitors who download your Lead Magnet and then do not open any of your emails. This would be a “frozen lead” because it will be very difficult to make them go through the funnel. However, you will see that others do open your emails and click on some of the links. This interaction is proof that this person is interested in your content and products. This would be a warm lead. The verb “to nurture” means to feed and raise. When it comes to marketing it means to nourish or feed your lead with valuable content to help them get further along in the funnel.The objective is to continue contributing value in a more specific way. This is also called warming up the lead. Depending in what stage of the buyers journey the visitor is in will determine what type of content we will send to them. Cold Lead: we will send them more generic content until we can see what they are interested in. You can measure this by seeing which links they click on or do not click. Do not forget that the key is to send content that interests them. Hot Lead: You know exactly what they are interested in. In this case you will have to send more detailed contents. For example, some deeper guides or contents with more statistics. This information will be more related to your products and services so they can see that you have the solution to their problem. With this type of content you not only have to earn the subscriber’s trust, but you also have to demonstrate everything you know and are capable of doing . The goal is for the subscriber to see more and more clearly that you are the solution to their problems. And now, it is the moment of truth, where the money is made. In this part of the evergreen funnel the content is less informative and more of you selling. For example, you can showcase your success stories or offer more personalized sessions where you can sell your product or service. Benefits vs. characteristics: do not talk about how good you are, the experience you have or if your information is the best. That does not matter to anyone. You have to focus on convincing the person how you can improve their life, solve their problem, make their life easier. Objection: Put yourself back in your client’s shoes. What questions can you ask about your product? What doubts can prevent you from buying? In the landing page or email you must answer all those questions. Clarity: make sure you are clear what the process will be. Whether it is a service or a product, the person has to know how everything they will receive when they make a purchase. The bottom of the funnel is the last phase of the funnel. But it is not the end. We are not finished yet. After the purchase you still have something very important to do. Customer loyalty. A person who has bought a product or hired you for a service and has been satisfied is a potential evangelist of your brand. In the midst of the digital revolution and in a world designed to be dominated by entrepreneurs, the best strategy is word of mouth from loyal customers. How to turn your buyer into a brand evangelist? Skype session half an hour after the purchase to resolve any doubts. Discounts or free product updates. Email marketing focused on getting the most out of the product or services by sending tutorials and tricks. Even if that person has already bought from you, it does not mean you can not continue to add value. 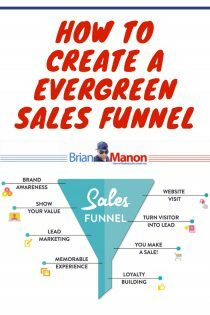 Now that you know what a evergreen Sales funnel is, It’s your turn to get to work.